Here are some resources you can download and customize for your own use. If you have questions or need additional resource, please contact us. All files are made available in Microsoft Word formats unless otherwise noted. Share your event with the news media! MARC and BikeWalkKC are promoting the entire Walk to School Day event calendar. This template is helpful if you want to share your own event with your neighborhood news outlets. Download. Mayors, City Councils, Governors, and other elected individuals can make it official by proclaiming October 4th as Walk to School Day in your community. Download. Copy and paste an easy Tweet or Facebook post! Read more. The National Walk & Bike to School website has a variety of examples of events you can use to plan your own events. Read more. 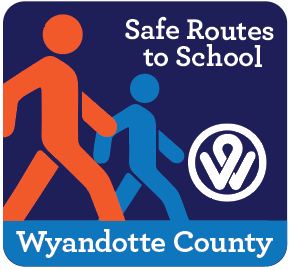 Looking for ideas for your Walk to School Day event? Check out some ideas from around the metro area. Read more. Incentive your students with a Walk to School Punch Card. Keep track of how many times they walk, and reward them prizes or special incentives! Download.